Welcome back to some more Albums of the ’80s. This week, Robert writes about an album which is an interesting choice – The Way It Is by Bruce Hornsby And The Range. Bruce Hornsby is one of the few artists that I never warmed up to. His piano style is unique, so I always know it’s one of his songs as soon as I hear it. And I can never listen to the whole song. Let’s see if Robert can win me over. This is a great opportunity to read about Bruce Hornsby on this site, because I may not have written much about him myself. And if you’re like me, maybe you’ll change your mind about him. Or our dislike for Hornsby’s music will just have to be The Way It Is. This is an album that I have been in love with since I first heard the band in 1986 and I have wanted to review it for a while now. The talent that Bruce Hornsby and the Range brings to ‘80s music is astounding and I do not feel he is recognized nearly enough. In November of 1986 I talked my parents into letting me go to a few concerts with my buddies. We saw a-ha in July on their Scoundrel Days tour and in November we had the great fortune of seeing Huey Lewis and the News on their Fore! Tour. Opening up for Huey Lewis was a band that had not hit Germany yet, but I did catch their first single, “The Way It Is” on the American radio station a few days before the concert. This band, Bruce Hornsby and the Range, was a true unknown for me and I was far from excited to see them, but I was extremely excited to see Huey Lewis and the News because I owned all of their albums and loved their music. I thought I was going to just have to endure the lackluster ‘opening band’. I have never been so wrong in my music fan life! Yes, Huey Lewis and the News was fantastic, but this unknown opening band absolutely blew me away. At the time I had no idea that Bruce Hornsby was the former keyboardist for Sheena Easton. I definitely had no idea he was such an excellent songwriter and a peerless pop pianist. I only recognized one song (just a little) and typically this would disappoint me at a live show, but not this time. I loved every song the band played (which was most of that first album) and was completely enraptured with all of the musicianship. I did my best to remember the chorus to every song so I could by the band’s music the next day. Fortunately, I found all of the songs they played that night on one album, their debut disc, The Way It Is. For the next few days I will take a look at all ten songs. The album itself has reached multi platinum status and, in 1986, #3 on the album charts. Huey Lewis makes an appearance on the album as a harmonica player on track #2 and as a backing vocalist on track #6; he also produced tracks #4 and #8. I suppose it makes sense that Bruce Hornsby and the Range opened up for Lewis on that tour. Bruce Hornsby and the Range ended that year with three AT 40 singles and a Grammy for Best New Artist. Quite a debut! If you are not too familiar with this album, I am convinced that these next two days will cause you to go back and give a better listen to this band. Now that the setting is clear, the meaning of the song surfaces. The speaker wants to be in love, but he has not found the right woman yet. He is hopeful, “I know she’s out there somewhere / On the Western skyline.” Hornsby continues to make observations about the town and there is even some hopeful anticipation because there is a spot where the women wait and wait for the sailors – but it is not to be because, “He’s got the admiral’s daughter in the back / Trying to cross her battle line/ I’m staring into the twilight / Wishing I could be with her tonight.” This song does an excellent job in setting up the tone of the remainder of the album. “Every Little Kiss” is also the first song on the album that highlights Hornsby’s piano skills. His piano introduces the song and establishes the theme for the rest of the song. The piano is not as memorable as it will be in later songs, but it’s strong presence it felt as it weaves it’s way into the rest of the band’s playing with impressive results. This song features distinct drumming by John Molo and a rarish guitar solo by David Mansfield. I want to not like the cliche her, but I can’t help it, this song touches me. I love the imagery used in the chorus, the “mandolin rain” and the “banjo wind” – solid writing. I feel very fortunate to not have a relatable regret, but this song has always served as a type of cautionary tale for me – be careful of the decisions you make and try not to set up a life of regretful memories. It is nice to occasionally have a strong, positive attitude in a rock song. We will flip this album over to Side B on Wednesday. Today, not only do we get a great album review from Robert, but we also get a love story. Robert Returns to a time when he and his now-wife, Diana, fell in love. In honor of Robert and Diana’s 25th wedding anniversary today, let’s enjoy his wonderful story, and listen to some great music! Happy Anniversary Robert and Diana!!! If you are reading this, it is time to be honest. Most of us regular readers of nostalgia websites and blogs do so for one BIG reason: We miss our youth and look for ways to recapture those good old days that will always be deeply etched in our minds and, more importantly perhaps, our hearts. We all have a special song, album, commercial, TV show, or movie that has made an indelible imprint on our lives. The reasons are as limitless as the choices. These “artifacts” remind of of both good and bad times and how we got through those crazy, and sometimes brutal, junior high and high school days. If you are still reading this, I know you agree and truly understand the importance of these days and that you will never forget them. We do all have a special something that we carry with us and will never let go of, but that something differs for all of us. Ever since I bought REO Speedwagon’s Hi Infidelity, I have been absolutely hooked on music. Lucky for me, the ‘80s were by far the best time to be a music fan. My music collection is big and very important to me; I literally own over five thousand songs from the ‘80s in one format or another. Even with all of this music there a few albums that I treasure as particularly important to me. I believe that many music fans out there are able to connect a certain song or album to a life changing event or a life changing person. I will even venture to say that all of you reading this now can name one or two songs or albums that have had a significant impact on you and who you are today. I am no different – here in my story. I am presently a high school English teacher and love it! Every year students will ask me what I was like when I was younger. I am honest with them and tell them that I was a very quiet and shy boy who said very little in school or out. I had a few very good friends who, despite being many miles apart today, I am still in nearly daily contact with, but I was nowhere near outgoing. They never believe me – things have changed (I do not think you can be quiet and be an effective English teacher at the same time). Needless to say I did not exactly have a line girls waiting to go out with me. Other than a few very temporary female acquaintances, I typically hung out with my friends, played Atari or Commodore 64 games, read books, and listened to music. In October of my senior year that came to a screeching halt. I went to junior high and high school in Frankfurt, Germany and, due to noise ordinances, our football games were played on Saturday afternoons. Our school typically supplied buses to away games since the driving age was 18 and only about 8 people in my senior class drove. On one crisp October 4th Saturday, I took the subway to school to meet my friends and travel on one of these buses for a game against Manheim – a bus ride of a little more than an hour. A mistake was made; only two buses showed up – we had enough people for three buses! So we all crammed on the two buses, sitting three to a seat (this would probably incur a lawsuit today). My friends and I had to separate and I was forced to sit with girls from the dance team! How was I ever going to survive this? Well, I did more than survive – I fell in love. I was forced to sit with a girl I did not really know, but kind of admired when I saw her in the halls. Her name was Diana and she had gorgeous red ‘80s hair. I was as scared as I had ever been. There was no way I could manage to come out of a longish bus ride next to this girl and look anything resembling cool. I was quiet – of course – but we slowly started to talk to each other. We ended up sitting together at the game and the ride back to school. The entire time I knew I wanted to ask her out, but could not imagine myself actually doing so. When we got back to the school I walked her to the phone booth (how strange does that sound?) so she could call for a ride. I steeled myself as much as I possibly could and asked her for her phone number. To my surprise, she gave it to me! I told my friends and they insisted that I call her the next day. Finally, the purpose of this article. I did call her the next day and asked her out. Once again she said yes! – we were set for that next Friday. She had dance team practice on Friday so I needed to kill some time. I went to one of my favorite places – the audio store that sold tapes and records. I saw that one of my favorite bands, Survivor, had just release a new album, When Seconds Count. I immediately grabbed the cassette and paid for it. This was the first album that I bought after I met the girl who would become my wife. I have always felt that Survivor was one of the most underrated bands in ‘80s rock. Sure, everyone knows “Eye of the Tiger” and “Burning Heart”, but how many have listened to an entire Survivor album? If you need some proof of Survivor’s excellence, check out the Return to the ‘80s review of Vital Signs. I own all of Survivor’s albums – even the Japanese import Reach. I love all of their songs and mourned the death of Jimi Jamison by listening to nothing but Survivor and his solo albums for two solid weeks. When Seconds Count is my favorite Survivor album, mostly due to the girl I was falling in love with when I first listened to it. The album itself was a follow up to the excellent Vital Signs. Survivor had successfully replaced their lead singer Dave Bickler with Jimi Jamison and was enjoying some serious chart success. When Seconds Count is certified gold and had three Top 100 hits with “Is This Love” reaching #9. The album begins with an excellent song that exemplifies the Survivor sound. Lyrically, it is a song that has the speaker wondering what to do about a woman he likes. Does she want him to pursue her? He clearly wants to but is not sure if she is willing. Guitarist Sullivan has a reputation for being a master of the rhythm guitar (see “Eye of the Tiger” or “Burning Heart”) – I agree, he is great. Unfortunately, his guitar solos are too often overlooked. I never fully appreciated this until I saw Survivor in concert when I was in college; after that I started paying closer attention to those solos. This song has his typical smooth solo that Sullivan consistently plays. This song was the perfect match for how I was feeling when I first met Diana. I was young and had zero experience with girls; I had no idea what to do. Do I ask her out again? And if she says yes, what then? Hold hands? Kiss after the date? I was truly a wreck, but she helped me through it like, as I was soon to learn, she always does. The second track picks up right where the first left off. Listen for the bass note after the third line – simple, but impossible not to pluck your air guitar. This song has the typical catchy Survivor chorus. The speaker here is realizing that the relationship he is in is progressing in a positive direction that he really likes. There are a few lines that still jump out at me today, “There will be nights, some restless nights / When you’re alone, your thought start to wander / Wondering if it’s right, you search the night.” As I said earlier, I had zero relationship experience – Diana had a little more than I did. Soon after we started dating she went to visit another boy – wait – the arrangements were made before we went. I pretended like it didn’t bother me and took her to the train station. Inside my mind I was sure that this was the end – one month – a great month – but that was it. As fate would have it, she returned (I nervously picked her up from the same train station) and she told me that she felt nothing for that other guy and she wanted to keep dating me. My first win! We clicked right away and I felt early on that this could be something that would last for a while. What a great song and the biggest hit from this album. This song could easily have been on the Vital Signs album – it is pure Survivor. It starts with Petrick’s signature keyboards and Sullivan’s rhythm guitar – do not miss another nice solo, though. There are so many great lines that remind me of what I was feeling early in our relationship. Lines like “I’d like to know that for once in my life I’m sure of what tomorrow may bring” and “I need to prove to myself that this is more than a crush / Can you convince me it’s not just a physical rush?” absolutely captured exactly what I was feeling. Again, Diana and I clicked right away, but I was worried that it would be a fleeting thing. This was my first real girlfriend and I had just turned seventeen; I was worried that I was being swept by her beauty and charm and not thinking straight (it was easy to do). I did not want this is be temporary, but did not want to tell her that after just a few months. The first song on this album that is not a true love song. I would put it in the category of a Journey type of inspirational song, like “Be Good to Yourself.” My favorite thing about this song it how it builds to a climax. It begins with piano and vocals, then rises and rises, adding powerful guitars. It then backs off and gives the listener time to contemplate the emotions in the song. The Jamison sings, “I shout, can a single voice carry? / Will I find sanctuary within your arms? / Someday when the answer‘s clearer / Someday when I even the score / You’ll reach and find me near you, right beside you, forevermore.” When I was a sophomore in high school I decided that I wanted to be an English teacher. As a senior, I still wanted to, but I was beginning to feel that I wanted Diana to be with me. As decision time came upon us, we both decided to attend college in Nebraska – man, am I glad we decided to that! Any Survivor fan would not want you to forget that, despite some great ballads, this band can really rock – this song is an example of that. It starts slow, giving the impression that it will be another ballad. Once the guitar kicks in, it does not look back. It reminds me a bit of “First Night” from Vital Signs, but it is smoother and lyrically stronger. The singer is speaking directly to a young man, urging him not to give up, to have the confidence to believe in himself and become who he wants to be. Oh yeah, best solo on the album so far. Looking back, this song has no real connection to our relationship. It just reinforced my determination to be what I wanted to be and not worry about what others thought. I really like this song. In fact, this one and the next are my two favorites on this album. It is one of the few songs on this album that uses imagery to capture an emotion. It is not complicated. “If only we could go back to square one / If finally we could pinpoint where we lost touch / I’d stand alone reaching out my hand to you / Oceans between us.” Sometimes simple is the most effective way to get an idea across. The speaker does not want to lose the relationship that the two of them have built, but does not know where things went wrong. The lyrics continue the water/ocean imagery throughout the song. At the time, this song scared me. I was young and in love for the first time and I did not want it to end. Over the years, I have used this song as a reminder to not let oceans come between Diana and me. Not every day is perfect, but for twenty nine years we have done a really good job in preventing this from happening. My second of two favorites songs on this album is coming at you right away. Even at the youngish age when I met Diana and we started dating, this song freaked me out. We have all heard about or known couples who have lost touch as the relationship wore on. These lyrics have always chilled me a bit: “Special moments taken for granted, tenderness that found no reward / Funny how you’d speak of forever only to wind up restless and bored / Can sweethearts so suddenly stranger recapture in a moment the fire?” I promised myself to do my best to never let this happen to us. Realistically, over 25 years of marriage there will be times when things get somewhat predictable and boredom sets in, but overall we have done a really good job in enjoying each other’s company and not letting things get too predictable. I cannot imagine myself with anyone else; most days I feel as if we are still young and in a new, exciting relationship. This song has yet another really good guitar solo that ties the whole song together. This is a decent song, but my least favorite one on this album. It starts with a solid keyboard that sets up the melody. Sullivan’s rhythm guitars are excellent and completely drive this song. Lyrically, the song is about the deep passions that exists between two people despite others not approving of the relationship. Fortunately, Diana and I never really had this problem. Her father was the typically suspicious at times father- she was the only girl in the extended family and he wanted to protect her – understandable. I made it a point to be on my best behavior when he was around, but overall, we both got along with the other’s families. This great ballad made it on every mix tape that I ever made for Diana. There is nothing wrong with this love song; in fact, I like it better than the “The Search is Over”, a major hit from Vital Signs. I have always been one to not fully express my feelings- I still am – so I had a tendency to do so through songs. This song captured how I was feeling about Diana perfectly – “I never needed anyone this way / Never found the right words to say until today.” Oh yes, I know it is corny, but hey, I was 17, what do you expect? Even listening to this song right now I remember how it, and she, made me feel then. She still does today and the song still matches our relationship. Musically, this is my favorite track. Sullivan’s guitars are perfect. 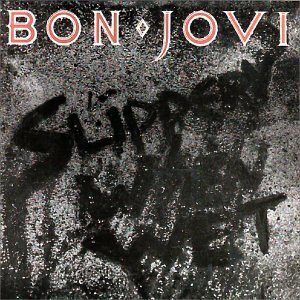 It has a driving rhythm guitar and the best solo on the album – at the 2 minute 40 second mark, just sit back and enjoy how expertly the solo is laid on top of the rhythm guitar – beautiful. Yes, I was that lovesick teenaged boy who stayed up all night thinking about this beautiful girl who was now actually talking to me. Seriously, I couldn’t sleep most nights: “Two eyes that haunt me when I turn out the light / Two lips that taunt me from the darkness each night / I try and hide my heart to keep my distance in the dark / What makes me fall apart and call out your name?” Early on, I was completely smitten – and it has not changed yet. 29 years later, Diana is still the most beautiful woman I have ever met and I cannot imagine a single day without her. My love for this album has origins in two places. First, it is Survivor and I love them. They are a perfect ‘80s rock band with a completely underrated and underappreciated guitar and keyboard combination of Frankie Sullivan and Jim Peterik. I place the powerful lead vocals of Jimi Jamison right next to the great Steve Perry. This band’s songs are solid – well written and musically very sound. When I was very much into making mix tapes for friends, I always included a few songs from Survivor – and they always liked them. With When Seconds Count, I have always associated every song with Diana – I still do. Not every song is completely relatable, but, to me, this album is the most important one I ever purchased. I listen to it frequently in all sorts of moods and it never fails to take me back to those wonderful days of new found love. Diana has always been there for me since that chilly October Saturday. She is my life. She is my love. She is my best friend. Today, we are celebrating our 25th wedding anniversary – 29 years together. Diana, I love you – forever and always. Almost every year since their debut, Journey released an album, and were touring, seemingly non-stop. After the mega-successes of Escape and Frontiers, the band took a break. Steve Perry released his smash hit album, Street Talk in 1984. He learned a thing or two through his Street Talk experience. One of these things was, according to the book in the Time3 box set, that he had “a strong desire for greater control of the recording process.” As Journey began writing and recording for Raised on Radio, creative differences took hold, and the rhythm section – drummer Steve Smith, and bassist (and founding member) Ross Valory were fired. They were replaced by Larrie Londin on drums and Randy Jackson on bass. Yes kids, that Randy Jackson from American Idol. Although, if you watched the show, you already knew that because he mentioned it a half a million times. The Raised On Radio album was finally released on May 26, 1986. I remember a lot of people complaining about the album. I definitely was not one of those people. 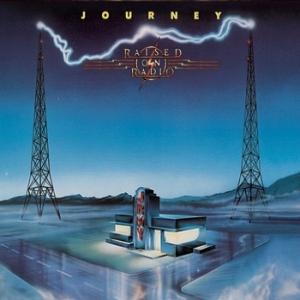 As a matter of fact, this is one of my favorite Journey albums. Sure, it has a little bit of a different sound than the beloved Escape and Frontiers albums. But, it is still a great album. And after posting some songs from Raised On Radio on this site and Facebook and Twitter pages, I know that I share the love with a lot of other people. I feel real nostalgic about this album at this time of year. I remember going on a family vacation to Pennsylvania in August of 1986. We packed up the station wagon (with the fake wood paneling, of course), and drove from Rhode Island to Philadelphia. I listened to my Raised On Radio tape on my Walkman all the way down. While in Philly, we went to Veterans Stadium to see the Phillies play against my beloved New York Mets. The Mets lost the game, but would go on to be world champions this year. The next day, we drove from Philly to Amish country in Lancaster, PA. Again, I popped in my Raised On Radio tape, and enjoyed the drive. So, let’s take a trip back to 1986, feel nostalgic, and listen to Raised On Radio. This was the third single released from the album, but it was the first video from the album that I saw on MTV. Since the band had to break in the new rhythm section, and were getting ready for a world tour, they did not have time to film any conceptual videos. Instead, the videos that were released, were mainly concert videos. Admittedly, it took me a few listens before I enjoyed this song. It didn’t help that the next song was one of my favorites on the album, so I often skipped this one to get to the next song. It didn’t take too long for me to warm up to this song though. This is one of three songs on the album with Steve Smith playing drums. As I just mentioned, this was one of my favorite songs on the album. I played this one over and over again. I might have played it even more if I didn’t like the next song just as much. I love this song so much!! I can still listen to it over and over again. Not only does it rock, but it has a great message. This was not one of my favorite songs. But, I like it more now, and appreciate the bluesy sound. At the time that they were writing and recording this, Steve Perry had just split with his longtime love, and Jonathan Cain was going through a divorce. That just gives the song more weight. What a great way to start side 2! What a great rocker!! The lyrics of this song basically consist of song titles and lyrics of older songs that the band must have listened to when they were growing up. This ballad was one of the more popular songs on the album. I loved this song, but I just didn’t like how long the instrumental portion was towards the end of the song. But, at least in the video, they do a little more singing. This song ties with “Once You Love Somebody” as my least favorite song on the album. But, my least favorite songs on this album are better than some of my favorite songs on other albums. Longtime readers may know that when I got out of the Navy I went to college. The first college I went to had a jukebox in the cafeteria. I think this was the only Journey song on it, and it was always playing. It wasn’t me that played it. But, it just goes to show that even back then, I was not the only fan of Raised On Radio. Perfect way to end the album. The band would not release another new studio album for another 10 years. I hope you enjoyed the album. Tell me your memories of this album. Did you like it? Was it a disappointment?